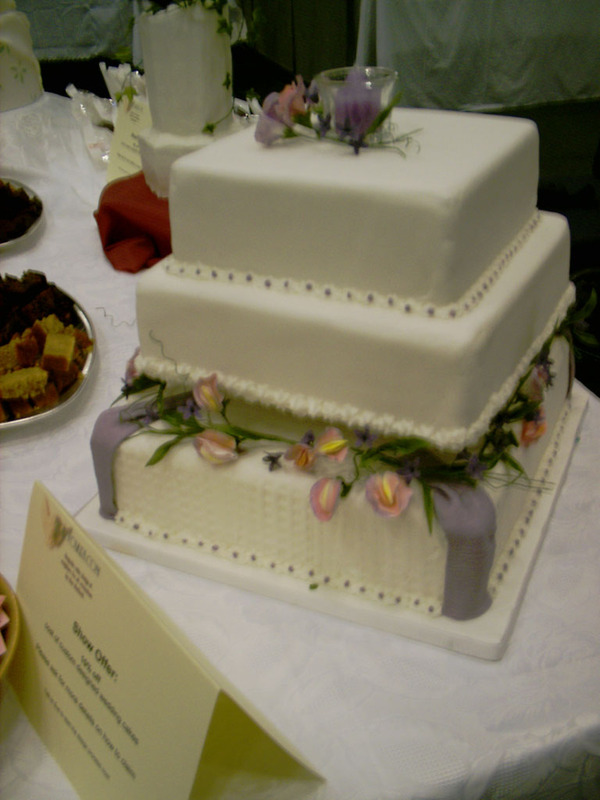 Standard Order cakes are perfect for those who want a simple cake that still benefits from the Ivory Cakes quality features. 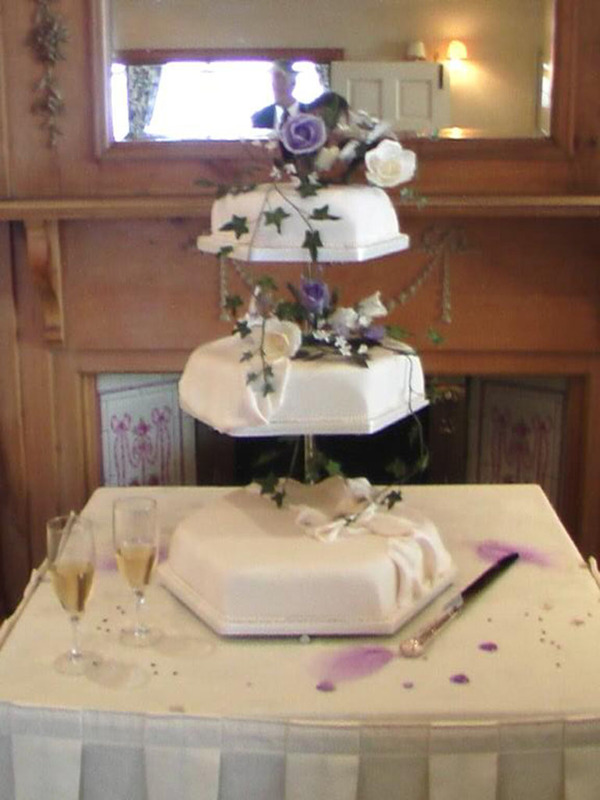 For example, outstanding design, base cakes and exquisitely delicate and realistic floral detail. 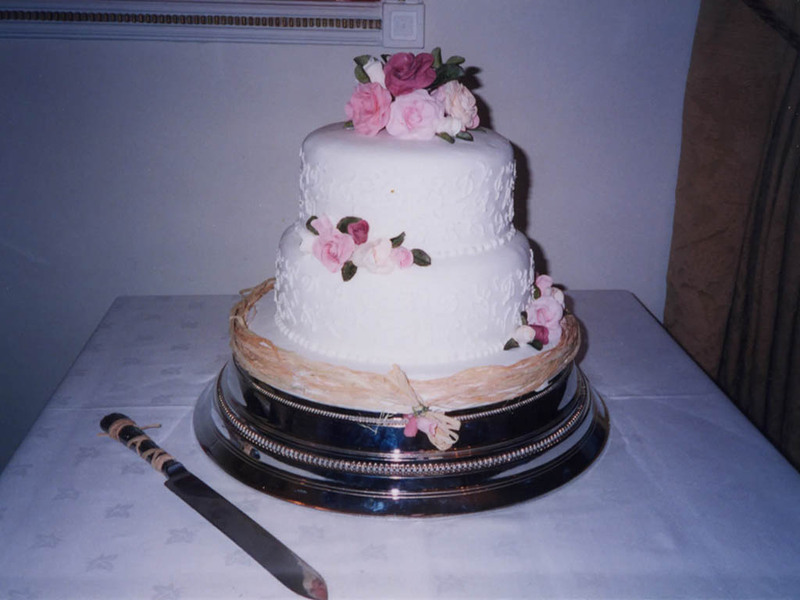 How many times have you been to a wedding or event and been offered a cake that looks reasonable but is bland, dry and tasteless inside? 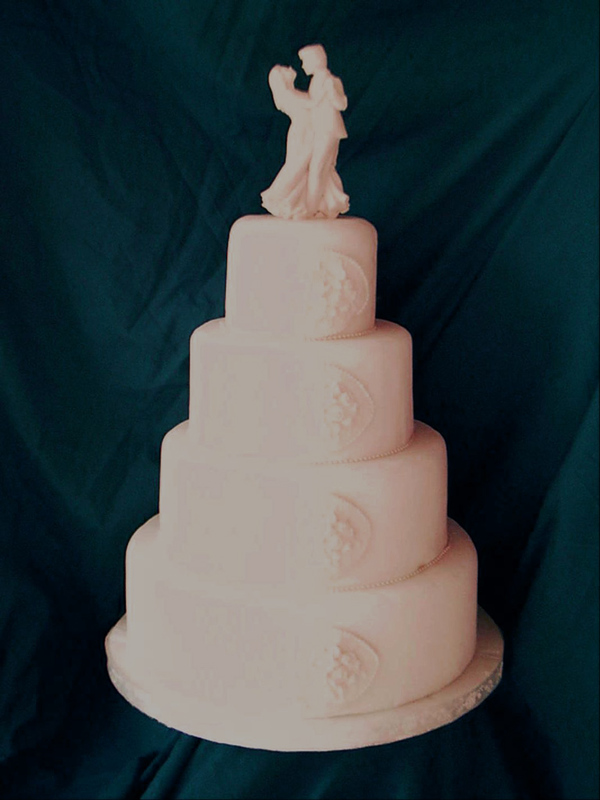 Well Ivory Cakes are never like that, with over twenty years of baking training and the creative flair that allows me to try new ways of doing things, I put as much into the quality of the base cake as the sculpture itself. Your cake will be created and delivered to your venue (please see delivery table below) so you need not worry about collecting it. 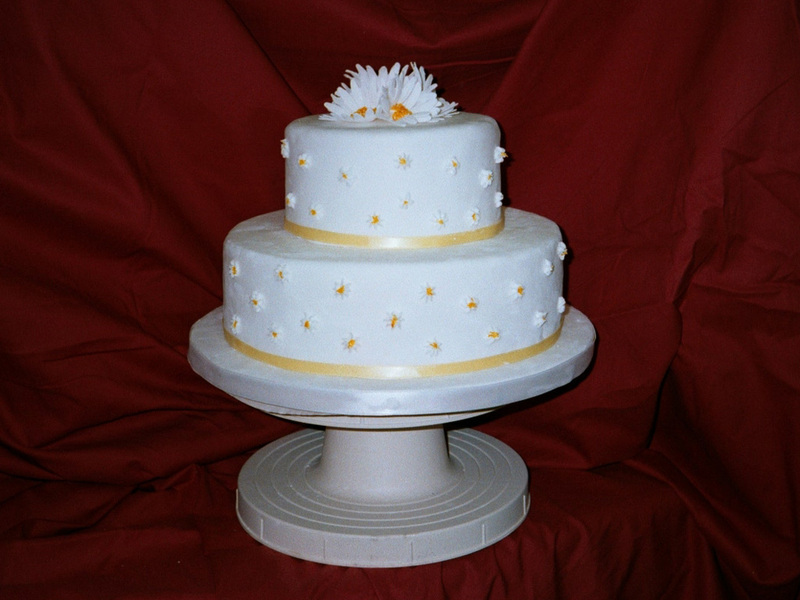 All cakes where one tier is made in fruit cake that you intend to keep for future celebrations are supplied with a 10% discount voucher for re-decoration. Please refer to the photos below to see examples of our work. More examples will be added periodically. Using the tables at the bottom of this page, you can choose the type of cake you would like, and easily cost it. Simply add together all required elements. 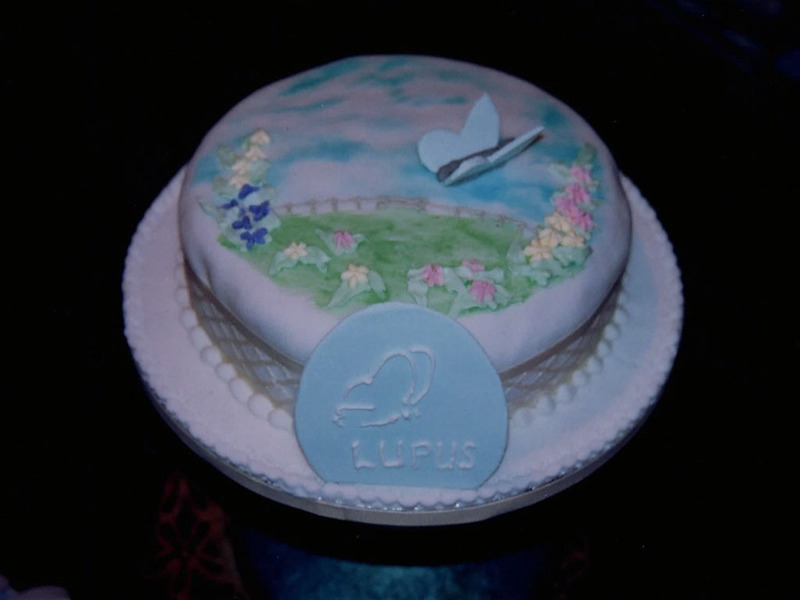 Once you have confirmed your order, a sample of your chosen base cake(s) can be arranged for you and family should you wish. 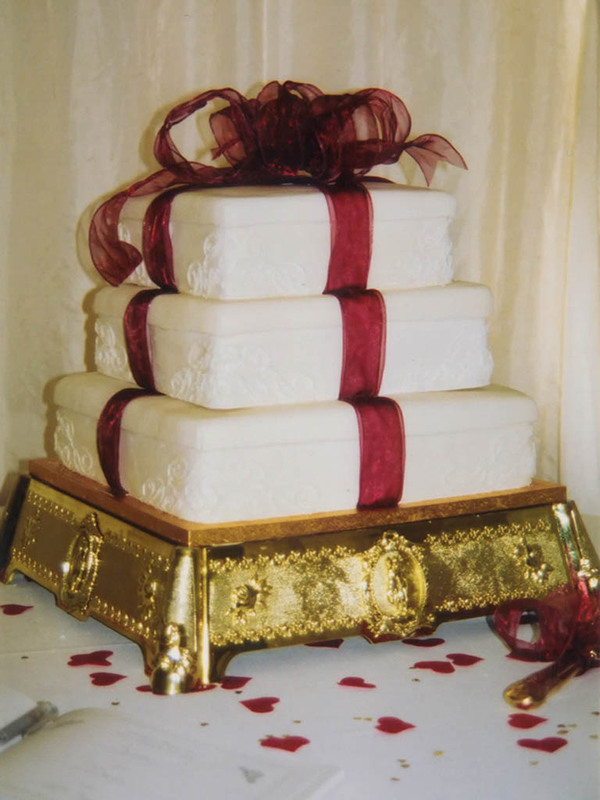 Come your wedding day, your cake will be delivered to and set up at your venue so you need not worry about collecting it. To order your wedding cake, please refer to the tables below, then call direct to enquire about availability for your wedding date. You will be sent an order form outlining your requirements, and should return it with a cheque for 40% of the final price to secure your preparation and delivery windows. Final payment should be made at least two weeks prior to delivery.